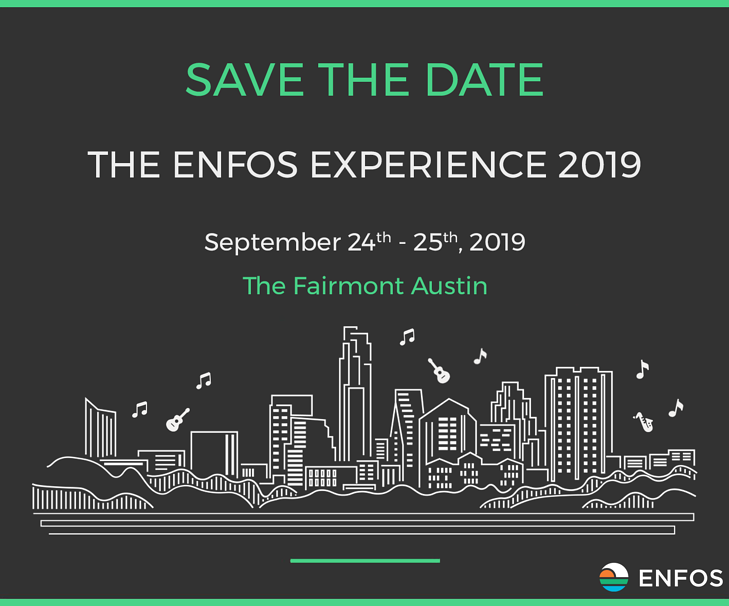 We’re excited to announce The ENFOS Experience 2019! On September 24th – 25th, 2019, we’re bringing together remediation professionals from all over the nation to Austin, TX for two full days of sharing and discussing key strategic issues, cutting-edge practices and how to achieve peak portfolio performance. Our 2017 conference featured a dream team of speakers from the remediation industry from companies such as CN Rail, Chemours, 7-Eleven, U.S. Defense Logistics Agency, Total USA, Arcadis, AECOM, Pace Analytics, CH2M, Ashland, Georgia-Pacific, Cumberland Farms and more – and this year is shaping up to be even better. Want to be notified when we send out Early Bird registration? Drop your e-mail in the form below. Introducing The ENFOS Experience 2019! © 2018 ENFOS, Inc. All Rights Reserved.